Additional reporting by Alejandra Arreguin, Bethann Coldiron, Bethany Kyle, and Savannah Trantham. 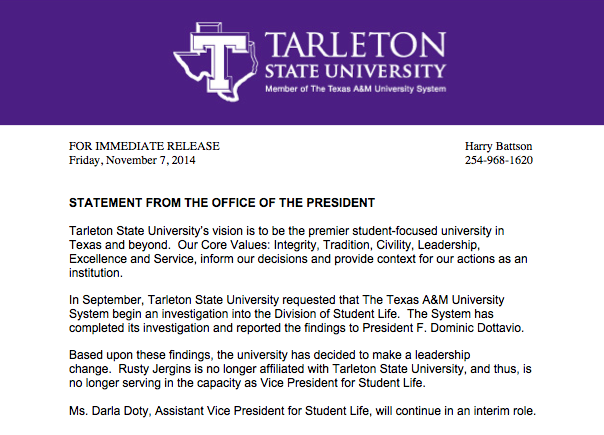 That’s been the official response for more than a month to questions about the investigation that led to former Student Life Vice President Rusty Jergin’s departure from Tarleton State University. Not a single regular member of the Texas A&M System Board of Regents returned phone calls from Texas News in recent weeks. Steve Moore, the system vice chancellor for marketing and communications, did, however, leave a voicemail for a reporter. 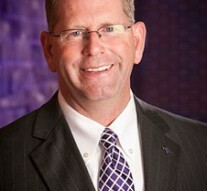 “It’s no use calling the regents, they will not have any comment,” Moore said. At yesterday’s meeting of the board, Regent Judy Morgan said that the Jergins investigation didn’t come up for discussion. 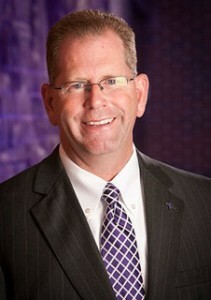 Colton Buckley, the first ever Student Regent from Tarleton, last month would only say in interview, “All that I can say is that there is an ongoing investigation. 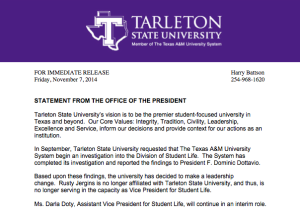 Tarleton President Dominic Dottavio told Texan News last month that all he knew about the investigation was what he read in the news. Two reporters last month found Jergins in shorts and t-shirt at his home. He said “hi,” that he was going “good” and “nope” when asked to comment on the investigation. Texan News called Jergins the Friday of the announcement that he was released from the university, but the call was not answered or returned. Texan News attended yesterday’s meeting of the board of regents. The subject of Jergins didn’t come up – at least during the public part of the meeting. After the meeting, reporters asked Regent Regent Judy Morgan if Jergins was discussed in their executive session. It wasn’t, she said, adding that she could not talk about it. “The investigation is sealed and not available to the public.” Figures! At least, the scumbag is out.